Hastings United Football Club has pulled off the marquee signing of a former Chelsea goalkeeper. Lenny Pidgeley, who was on the pitch when the Blues received the Premier League trophy in 2005, has joined the U's ahead of the 2016/17 Ryman Football League Division One South season. 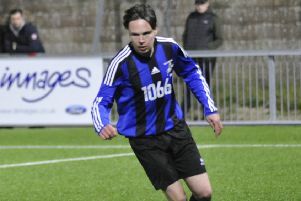 United manager Darren Hare said: "I’m absolutely delighted we have managed to secure Lenny’s signature. I have always wanted to target an experienced 'keeper and they don’t come with much more experience than Lenny has. "He is still a football league 'keeper in my opinion, and this move signifies his desire to want to be successful and also the fact he is willing to drop into the lower divisions to continue and further his career. It also shows the ambition of the board and the football club." Jose Mourinho brought Pidgeley on for the final 15 minutes of the home win over Charlton Athletic in the 2004/05 season as Chelsea clinched the league title for the first time since 1955. A few months earlier Pidgeley was on the bench as Chelsea won the 2005 League Cup. He made his first start for Chelsea in the last match of the 2005/06 season away to Newcastle United. Pidgeley made 27 appearances for Watford while on loan from Chelsea and later played 55 times for Millwall. He subsequently had spells with Carlisle United, Woking, Bradford City, Exeter City, Newport County (who he helped win promotion to the Football League) and Mansfield Town (on loan). The 32-year-old signed for Leatherhead this January before ending last season as a temporary goalkeeper coach at Forest Green Rovers, who reached the National League play-off final at Wembley. Pidgeley represented England at under-16, under-18, under-19 and under-20 level, and is the goalkeeper who Hare has been targeting for several weeks now. He produced an assured 80-minute display on his first United outing in the pre-season friendly at home to Welling United last weekend. "His knowledge and experience of the game is second to none, and it would have been somewhat remiss of me not to tap into that as a new manager so he will joining our coaching staff as player/coach to support me and Watty (Steve Watt)," added Hare. "I believe we have a very experienced and knowledgeable base now to propel this club into the future it can aspire to aim for." Hare has also secured the services of Harry Stannard, the Margate-based young attacking player who has impressed in recent friendlies and scored a hat-trick against Eastbourne Town yesterday (Tuesday). "His lack of fear to try and experiment with things and his hat-trick the other day persuaded me to offer him a one-year deal, and he has thankfully agreed," said Hare, who first coached Stannard when he was only seven-years-old. "He will provide interesting competition for the boys in forward areas and I will give him his chance for sure."